The meetings of the Democratic National Committee (DNC) and Conservative Political Action Committee (CPAC) were a study in contrasts. Both told stories to unite their faithful. At CPAC, activists fell in line, while at the DNC, the fight for leadership revealed battling narratives and deep divisions within the party. Tom Perez, the DNC’s new chair, and his former rival, Minnesota Congressman Keith Ellison, both cast the outcome of their battle in terms of unity. “We don’t have the luxury to walk out of this room divided,” Ellison said after his loss to Perez in the second round of voting. He immediately threw his support to the former Labor Secretary and urged his supporters to do the same. Perez, in turn, swiftly named Ellison his second in command. But the race was ugly, and got that way fast. Shortly after declaring his candidacy in December, Ellison faced unfounded accusations by deep-pocketed DNC backers that he was anti-Semitic, a former member of the Nation of Islam, and a supporter of Louis Farrakhan. These charges were proven untrue, but they did manage to subtly remind party delegates that Ellison is black and Muslim. It’s ironic: Some of the same Democrats who fought Bernie Sanders’ presidential bid by claiming that progressive economics devalue identity politics were all too willing to use Ellison’s identity against him. And while Perez has a decent progressive record, it’s clear that the Democratic Party establishment wanted to use him as a wedge. According to the New York Times, Obama loyalists “uneasy with the progressive Mr. Ellison” began to press Perez to enter the race only after Ellison became the leading candidate, and Obama himself offered a thinly-veiled endorsement of Perez in the final days of his administration. Perez got another boost when South Carolina’s Jaime Harrison dropped out of the race and endorsed him. Harrison, the chair of the South Carolina Democratic Party, is a former lobbyist with the high-powered Podesta Group, whose clients include everyone from Wal-Mart to Lockheed Martin and the government of Egypt. In contrast to Ellison, Harrison has been an outspoken supporter of the DNC’s decision to keep accepting lobbyist money, which was banned by President Obama but reinstated last year by former DNC chair Debbie Wasserman Schultz. “We in the Democratic Party have to stop the castigation of various people for the jobs they have,” he told Vox’s Jeff Stein. Perez’s politics differ from Ellison’s in other important ways. He supported the Trans-Pacific Partnership (TPP), a pro-corporate trade deal that wounded Democrats in industrial swing states, and he could have been tougher on big banks for their role in the 2008 financial crisis. Over at CPAC, President Trump told conservative faithful that from now on, it’s his way or the highway. It’s a false story, but it gives meaning to the lives of those who believe it – “a reason for being,” in Bannon’s words. And it appears to be working, at least among the faithful. When Republicans took Congress, the furious edge of the Tea Party became the new center of the GOP. Then came Trump and Bannon. Their mix of Tea Party extremism, hatred for outsiders, and economic populism was just powerful enough to eke out an Electoral College victory. And while conservative ideas are largely unpopular with voters, this angry energy has reinvigorated the GOP. The Republican establishment first tried to resist, but their failure – and ultimate surrender to the forces of Trump’s right-wing populism – has contributed enormously to the party’s current success. Too many Democrats, meanwhile, are reluctant to tell the story of the wealthy and powerful interests – “the millionaires and billionaires,” as Bernie Sanders would say – who are hijacking the economy and undermining democracy. They’re reluctant to declare that our “reason for being” lies not in xenophobia or fear, but in serving others and doing good. But this ideology of “opportunity” isn’t likely to turn the growing movement of independent progressives and anti-Trump activists into Democratic voters. It rings hollow for the millions who struggle with stagnant wages, poor job opportunities, and unaffordable college. Despite its corporate ties, CPAC managed to seem anti-establishment, and hence closer to its grassroots. The DNC left a very different impression. In one sense, the race between Perez and Ellison was a battle over stories. And as they now bid for unity, Democrats are clearly trying to make peace with their activist base. But the base may not be satisfied with a secondary role in this story anymore. Let’s not mince words: this is the same Democratic establishment that lost the presidency, both houses of Congress, most governorships, and most state legislatures. And while Barack Obama is beloved by most Democrats, he led the party during this decline, so bears considerable responsibility for these failures. Democrats must not abandon their commitment to equality for all races, religions, ethnicities, genders, and sexual orientations. But they should not write off all white workers – especially now, as the middle class dies and opioid deaths continue to rise. And they must make it clear that 99 percent of Americans – a class that includes most people of all identities – are being cheated and shortchanged by the moneyed interests Trump and the Republicans represent. Democrats should follow Rep. Sander Levin’s lead by demanding a renegotiation of bad trade deals like NAFTA to emphasize workers’ rights. They should call for a higher minimum wage, increased Social Security benefits, and a broad expansion of Medicare (which includes Medicare for All and an end to drug pricing rip-offs). This agenda will be hard to finance with corporate money, so they should follow Ellison’s suggestion for a small-donation strategy. That will disempower lobbyists and corporations and help shake the party’s pro-elite image. A party is not a movement, but the two can work together. Perez isn’t the problem; power is. The Democratic party won’t change until it’s confronted with a strong movement determined to change it. That’s why it’s encouraging to see activists move to take control at the state and local level. That, along with a concerted program of independent activism, could revolutionize politics. The Democratic Party can’t be saved by one leader. But there’s a chance it can be saved by millions of them. Global monetary policy these days is a fast moving stream. It’s far easier to paddle along with the current and simply hope that there are no waterfalls or sharp rocks further down the way. That’s why two days ago, the Bank of Canada decided to cut its overnight rate for the second time in the last six months. Rates now stand at 0.5%, and the the last time they were this low was during an emergency one-year stretch at the tail end of the Great Recession. The Canadian dollar reacted as expected. The currency had gotten thoroughly crushed in trading since the beginning of the year, and the hammering didn’t stop after the rate announcement. It accelerated, putting the Canadian dollar at six-year lows in terms of dollars and pounds. It’s now down -10.2% to the US dollar and -10.4% to the pound sterling year-to-date. Somehow the loonie even managed to lose ground (-0.72%) to the euro, which is currently in the middle of a historic crisis. Even though it is knowingly participating in an ongoing currency war, Canada doesn’t really have a reputation for being a particularly aggressive nation. Heck, Prime Minister Stephen Harper has even been compared to “Jesus” for his saintly efforts in pushing through draconian terror legislation. 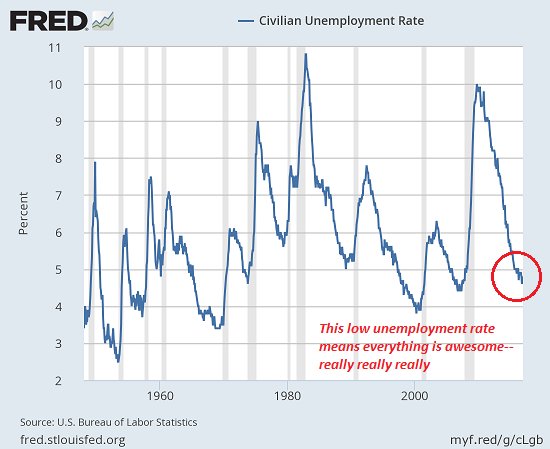 So why the rate cuts and competitive devaluation? The problem is that it is a “Prisoner’s Dilemma” from a global macro perspective: when every other country is either creating money out of thin air, cutting rates, using monetary stimulus, or borrowing extra debt, it makes it extremely difficult to go against the grain. Imagine playing the board game Monopoly in which other players amend the rules so they can take money straight from the bank. If you don’t follow suit, you’re going to lose. It’s not that countries like Canada want to be in a currency war of competitive devaluation. These rate decisions always seem like a good idea in isolation because the situation always forces the central bank’s hand. We don’t blame the Bank of Canada for the decision itself – it is simply the inevitable result of loose and ineffective monetary policy worldwide that is spiraling out of control. The gamble of this vicious cycle has been that global growth would resume and the status quo could be pieced back together. Instead, Canada finds itself in the middle of a technical recession with two consecutive quarters of negative growth, crashing commodity prices, an iffy recovery for the United States, and the eurozone held together by a thread. Against that backdrop, there’s only one thing to do: cut rates again! There are some interesting side effects that bubble to the top during all of this rate-cutting business. Forget the effects worldwide – to see the results of this policy, one only needs to look domestically within Canada. Even despite the Canadian economy treading water as of late, there are two concerning metrics that have been peaking. Firstly, the Canadian housing market is the most overvalued in the world. Even last month, it continued to set records on the back of Chinese buying, with Vancouver closing 29.1% more sales in June than the 10-year average. In Toronto, luxury market sales have sailed 56% over the first six months of the year. This is what happens when the cost of money is zero. Second, household debt for Canadians has reached an alarming 163.3% of disposable income. Since 2007, it is estimated that only Greece has grown its household debt more than Canada. Further, a recent report by BMO says that Canadian households carry an average of $92,699 in debt, and pay $1,165 each month to service it. In the poll, respondents said that if interest rates were raised two percentage points, that 64% of them would feel “stressed” servicing their debt. One quarter of respondents would feel “very stressed” if that happened. A two percent increase at the time of the poll would have brought the benchmark interest rate to 2.75%, which is basically the lowest it ever bottomed at in the ’80s and ’90s. Paddle away, Mr. Poloz. Let’s hope there’s no rocky spots downstream that could capsize the boat. In absolute terms, the United States is the most indebted country in the world, accounting for 29% of the world’s $60 trillion of sovereign debt. However, this is not really a fair comparison in some ways because it does not account for the relative wealth of the country in contrast to poorer economies. That’s why it is standard practice to measure sovereign debt in a ratio comparing it directly to the economic productivity, measured by gross domestic product (GDP). Using this ratio in comparison with other OECD countries, the United States is a modest 7th place (out of 34) in the rankings in terms of its debt load. However, as Jeffrey Dorfman writes in Forbes, comparing debt and GDP has some considerable problems. The major issue is that economic production cannot be converted directly to dollars that a government can spend. If this were true, a government could claim everyone’s income as taxes and use it to pay down the debt. However, in reality, a 100% tax rate would make everyone would quit their jobs or leave the country. That’s why it makes more sense to compare a government’s debt to the actual tax revenue collected, as this creates a clearer picture of the country’s debt burden and the capacity to pay. We pulled the latest data from the OECD to compare three ways of measuring the amount of debt that a country has accumulated. The first is the standard Debt to GDP ratio. In addition, we looked at Debt to Revenue (this includes all federal, state, and municipal tax revenues) as well as Debt to Central Government Revenue (this excludes state and municipal tax revenue). The data from the OECD database is from 2013. When tabulated using all three measures, the world debt picture changes significantly. The United States is 7th in Debt to GDP with a ratio of 103%, but it jumps to 4th place (406%) in terms of Debt to Revenue, and then 2nd place (979%) in terms of Debt to Central Government Revenue. In other words, when it comes to the actual capacity to pay down this debt, the United States is the second most indebted country in the world. Even if the federal government theoretically used all tax revenue to pay down debt, it would take 10 years (not including any interest). Of course, the United States also has the world’s reserve currency for now, which gives it more flexibility with its debt and monetary policy. This is less true for a country like Greece, where the currency cannot be devalued at all so long as the country is a part of the EU. How do other major countries do when comparing the regular measure to the new one using revenue? Canada jumps five spots to 5th place with 695%, and Germany jumps nine spots to 6th place. The UK drops five spots down to 16th overall with 351%. Australia rises two spots from 30th to 28th. Two weeks ago, we published a post showing the world economy in one visualization. In the corresponding comments section, a user asked us if we could put together a similar visualization but instead honing in on world debt. Today’s visualization breaks down $59.7 trillion of world debt by country, as well as highlighting each country’s debt-to-GDP ratio using colour. The data comes from the IMF and only covers public government debt. It excludes the debt of country’s citizens and businesses, as well as unfunded liabilities which are not yet technically incurred yet. All figures are based on USD. The United States constitutes 23.3% of the world economy but 29.1% of world debt. It’s debt-to-GDP ratio is 103.4% using IMF figures. Japan makes up only 6.18% of total economic production, but has amounted 19.99% of global debt. China, the world’s second largest economy (and largest by other measures), accounts for 13.9% of production. They only have 6.25% of world debt and a debt-to-GDP ratio of 39.4%. 7 of the 15 countries with the most total debt are European. Together, excluding Russia, the European continent holds over 26% of total world debt. The latest GDP numbers from the World Bank were released earlier this month, and today’s visualization from HowMuch.net breaks them down to show the relative share of the global economy for each country. The full circle, known as a Voronoi Diagram, represents the entirety of the $74 trillion global economy in nominal terms. Meanwhile, each country’s segment is sized accordingly to their percentage of global GDP output. Continents are also grouped together and sorted by color. Canada to Trump: America first, Russia second, Canada third…cute ! We're too polite to suggest taking Russia's spot, so we’d like to be your second-best friend. America First, Russia Second, Canada Third eh? Americans still trust Trump more than the media—and they’re right to. Wow! from financial Post, honest journalist. The Trump administration is more trustworthy than the media, according to a Fox News poll released last week. That judgment by the public is perfectly understandable, because the Trump administration is more honest and better intentioned than most media, as any objective person can discern. Not Democrats as a rule. Only eight per cent of them agree with the question posed, “Who do you trust more to tell the public the truth — the Trump administration or the reporters who cover the Trump administration?” But Republicans by a factor of nine to one (81 per cent to nine per cent) and Independents by two to one (52 per cent to 26 per cent) side with the Trump administration. Trump’s reference to refugees in Sweden at a Florida rally Saturday illustrates why the press is so distrusted. “Trump Alludes to Terror ‘Last Night in Sweden’ That Never Happened,” ran the Vanity Fair headline. “’Last Night in Sweden’? Trump’s Remark Baffles a Nation,” said a bemused New York Times. “Trump’s invention of a Swedish terrorist attack was funny. But it likely comes from a dark place,” decided VOX. “Baffled Sweden asks Trump to explain terror remarks,” ran the Los Angeles Times. Why wouldn’t the press have investigated precisely what Trump meant by his reference to Sweden? Partly because journalists are mean-spirited towards Trump. They’re more interested in discrediting him than in understanding his statements. Partly because they’re lazy and subject to groupthink, lacking curiosity and parroting their collective sentiments. And partly because the press was clueless as to the mayhem caused by refugees in Sweden in recent years, because the press doesn’t report news that doesn’t comport with its narratives. Coincidentally, while the press was still mocking Trump for holding up Sweden as an example of refugee-related chaos, a riot broke out in a Muslim suburb of Stockholm when police tried to arrest a drug dealer. The press — true to form — all but ignored the riot. It’s true that Trump’s reference to “last night” was highly imprecise. He meant to say something like “look at what I saw happening in a TV documentary on Sweden last night.” But people often misspeak. When they do, a responsible journalist seeking to inform his readers will ask for clarification. In Trump’s case, the issue wasn’t so much his misspeaking as his speaking in Trumpese — his everyday, spontaneous style marked by the casual rather than the precise. No other politician speaks in Trumpese, but many speak in bureaucratese — they fudge their meaning with insider jargon and code — or in legalese, as when Bill Clinton said “it depends on what the meaning of ‘is,’ is.” The honest journalist will seek clarification and then translate the statement, the better to inform his readers. When the politician is Trump, honest journalists are in rare supply. The public understands that Trump doesn’t guard his language, and that he will often get the details wrong. They don’t hold that against him because they trust his sincerity and his message is clear — Trump sees the forest, not the trees. The press, in contrast, focuses on the trees — Trump mistaking a red pine for a white — and sees great significance in trivial errors of fact. The triviality then becomes its headline. The press fails entirely to see the forest. Little wonder that the media is in freefall, little wonder that when Trump claims the media, rather than the Democrats, are his opponents, it rings true with the public. According to a USA Today poll taken just before the presidential election, the American public, by a margin if 10 to one, believed that the press wanted Trump to lose. To earn the public’s trust, the press needs to resemble advocates less and impartial investigators more. The first step in its road to rehabilitation would be taking Trump seriously. Maybe even by learning Trumpese. Steve Bannon, Reince Priebus Full Interview at CPAC 2017, Bannon is strong and intelligent ! Today at 10:30am, president Trump will summon some of America’s most prominent corporate executives to the White House Thursday, in a roundtable brainstorming session whose purpose is to come up with policy ideas meant to facilitate trade and taxes, boost job creation and generally jump-start the US economy. According to press reports, Trump will split the group of executives, among which Johnson & Johnson’s chief executive officer, Alex Gorsky, and David Farr, chairman of Emerson Electric, into four working groups to come up with recommendations on deregulation, workforce training, infrastructure, taxes, and trade. Vice President Mike Pence and White House aides will meet with the individual working groups and compile their recommendations for the president ahead of his meeting with the full group of executives. Tax and trade team: Treasury Secretary Steve Mnuchin; top economic advisor Gary Cohn and his aides Jeremy Katz and Shahira Knight; top trade advisor Peter Navarro; Michael Dell, the CEO of Dell Technologies; Inge Thulin, CEO of 3M; Kenneth Frazier, CEO of pharmaceutical company Merck & Co.; Mark Fields, CEO of Ford; Alex Gorsky, CEO of Johnson & Johnson. Regulatory reform team: Budget Director Mick Mulvaney; senior policy advisors Stephen Miller and Andrew Bremberg; Lockheed Martin CEO Marillyn Hewson; Whirlpool CEO Jeff Fettig; International Paper CEO Mark Sutton; Emerson Electric CEO David Farr; Harris Corp. CEO Bill Brown; and Campbell Soup CEO Denise Morrison. Infrastructure team: Transportation Secretary Elaine Chao; Gary Cohn will float into this session as well; former Bush Administration official DJ Gribbin; Caterpillar CEO Doug Oberhelman; Corning CEO Wendell Weeks; Nucor Corp. CEO John Ferriola; US Steel CEO Mario Longhi; Veresen Inc. CEO Don Althoff; Archer Daniels Midland CEO Juan Luciano. Workforce of the future: Ivanka Trump; nominee for Commerce Secretary Wilbur Ross; Small Business Administrator Linda McMahon; Dow Chemical CEO Andrew Liveris; United Technologies CEO Greg Hayes; LiveOps CEO Keith Leimbach; Altec CEO Lee Styslinger; General Dynamics CEO Phebe Novakovic; assistant to the President, Reed Cordish; Dana CEO James Kamsickas. The genesis of the idea comes from Jared Kushner, who originated the concept of working sessions. A key part of Kushner's job has been outreach to the private sector. He thinks government needs to find innovative ways to work closer with the private sector, Axios adds. Ivanka Trump will also participate in today's session. Trump has used previous meetings with companies to encourage corporate leaders to build their products in the U.S., offering tax breaks and lower regulation to bring down costs -- and warning that he wants to raise tariffs on products produced overseas. The heads of labor organizations, automotive firms, national retail chains, drug companies, and airlines are all among the groups who have met with Trump in the West Wing in recent weeks. "As a successful businessman himself, the president knows that if we’re going to get the country back to work, we need to hear directly from job creators what is holding them back and, where appropriate, take steps to remove the barriers," White House press secretary Sean Spicer told reporters on Wednesday. "As you can tell by the structure of the meeting, the president is expecting these interactions to lead to real action being taken by the administration," he added. It wasn’t immediately clear whether Trump would address his plans to overhaul the tax code, which he has said he will deliver within weeks, or a border-adjustment tax proposal under consideration by House Republicans, which would shift the tax burden from exporters to importers. As Bloomberg adds, republican leaders in the House, including Speaker Paul Ryan, argue a border-adjustment tax would benefit American manufacturing while providing revenue to make up for losses from reducing corporate tax rates. Several manufacturers, including Dow Chemical, are actively lobbying for the plan, which Trump has called "too complicated." Opponents, including net importers like Walmart, oppose it and warn it will raise taxes on American consumers. President Donald Trump's former senior trade adviser told Business Insider the border-adjustment tax proposal being discussed in Washington could help solve what he believes are major issues with the North American Free Trade Agreement. Dan DiMicco, the former Nucor CEO and Coalition for a Prosperous America board member who ran Trump's trade transition team, said a border-adjustment tax plan on imports from Mexico could help balance the Mexican value-added tax on exports into the country. Trump has previously chided the trade situation, saying in a September debate: "When we sell into Mexico, there's a tax. ... When they sell into us, there's no tax. It's a defective agreement." Mexico has a 16% value-added tax American companies must pay on exports in Mexico, and there is no corresponding tax on Mexican companies importing into the US. However, Mexican companies have to pay the same tax on products sold within the country. Trump and DiMicco's viewpoint is shared by Peter Navarro, the head of the newly formed White House National Trade Council, and Wilbur Ross, Trump's nominee to lead the Commerce Department. The proposal has been shot down by economic experts who say it's a misunderstanding of how the VAT system works. Additionally, the border-adjustment tax on imports would likely be passed onto consumers in the form of higher costs at the point of purchase of imported goods to help offset losses. DiMicco outlined other issues he saw with NAFTA, many of which were related to "exorbitant" Mexican duties. During a recent meeting at the White House between Trump and Canadian Prime Minister Justin Trudeau, the pair of leaders answered questions related to NAFTA and Trump's promises to renegotiate the deal. Asked about the Canadian end of the agreement, Trump said the deal's effect on US-Canada trade relations is "a much less severe situation than what's taken place on the southern border." DiMicco concurred with Trump, saying Mexico "has got a lot more issues than Canada has." "But they both have some issues," he said. While campaigning and in public statements following his electoral victory, Trump promised a renegotiation of the trade agreement within his first 100 days in office. However, under the Fast Track Trade Promotion Authority, Trump missed the deadline to give notice to Congress to be able to start a renegotiation within that timeframe. In order to begin the renegotiation within the first 100 days of his administration, Trump had to give Congress notice by January 31. DiMicco, who said he still informally advises the administration, said the delaying the confirmations of Trump's cabinet — particularly as it relates to Ross and Robert Lighthizer, Trump's choice for US trade representative — has made it increasingly difficult to "get the current details" on Trump's trade agenda. "Yeah, so nobody is willing to talk," DiMicco said was a result of the delayed confirmations. "You can't get the current details because the Democrats have held up the whole damn process!" Canada posted another surprisingly strong month for jobs in January, adding 48,000 positions in a month when analysts had expected a decline of 10,000. Coupled with December’s positive numbers, Canada added 104,000 jobs in the space of just two months, the fastest pace of job growth since before the financial crisis of 2008-09. The unemployment rate ticked down to 6.8 per cent, from 6.9 per cent in December. But driving the vast majority of that job growth is an explosion in part-time work. Canada added 32,400 part-time jobs in January, while full-time employment grew by 15,800. Over the past year, the number of part-time jobs has expanded 5.6 per cent, while full-time employment grew a tepid 0.6 per cent. Ontario added virtually no full-time jobs over the past year — up 0.1 per cent, or 5,300 jobs. It added 84,000 part time jobs in that time, up 6.5 per cent. Across Canada, the share of employed people with a part-time job jumped to 19.6 per cent, from 18.8 per cent a year earlier. The trend to part-time work seems to be especially strong among young workers. Those aged 15 to 24 have lost 69,000 full-time jobs over the past year, while gaining 71,000 part-time jobs. This trend may have something to do with what appears to be a rapid shift away from goods-producing industries to service industries, which typically offer lower pay and less stable work. Goods-producing jobs fell by 0.6 per cent in the past year, while services jobs added 2.1 per cent. Manufacturing lost 37,300 jobs in the past year, while accommodation and food services added 29,600. "With job growth faster but concentrated in part-time work, total hours worked falling, and employment shifting from the high-wage resources and manufacturing sectors to lower-wage service sectors, Canada’s job market is weaker than the headline numbers suggest," wrote Bill Adams, senior international economist for PNC Financial. "It is good news that more Canadians have found jobs, but they are working fewer hours, and probably earning less in aggregate than they did 12 months earlier." But the fact Canada is creating jobs at all is “further evidence confirming the recovery in the economy from the oil price shock,” wrote Capital Economics’ senior Canada economist, David Madani. 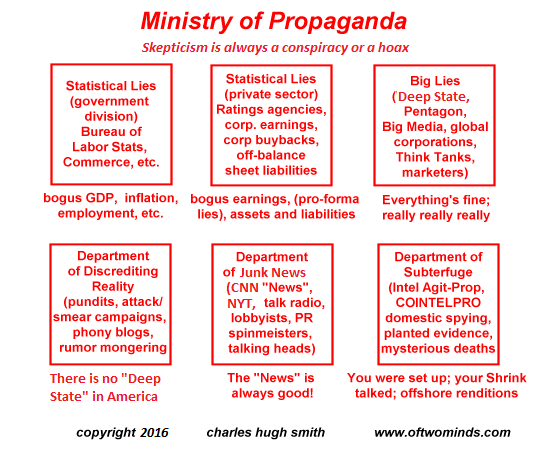 Junk news is, like junk science, supported by carefully cherry-picked "data" that has been selected to support the corporate-Deep State narrative being pushed by the corporate mainstream media. Most depressing chart showing US imports and exports in 2016 with top trading partners. The most depressing chart showing US imports and exports in 2016 with top trading partners. The manufacturing base has completely eroded in this country and one chart dramatically highlights this (shown later in the article). It is deeply disturbing that we now have as many people working in restaurants as waiters and bartenders as we do in manufacturing. This of course is for good reason given that you can’t export (yet) the ability to order a meal and have a stiff drink served to you to drown away your economic sorrows. As a nation we have enjoyed spending on a lax credit card for an entire generation. And now that money is coming back rushing in buying up real estate, studios, hotels, franchises, and everything else you can imagine. For every debt there is a collector. That is basic accounting (assets and liabilities). In a simplified equation you want to have more assets and fewer liabilities. However when you look at our export and import data, a troubling picture emerges. It should come as no surprise that our trade deficit with China is off the literal charts. But that is simply one country. We are running trade deficits on pretty much all fronts. In other words we are buying more from these countries than they are buying from us. That is the ultimate generational game of low wage capitalism. However, when that game gets near an end, you see money repatriating back since many of these countries have big surpluses and there are very wealthy people around the world that fed into this global hunger of low wages and insatiable consumption. On a personal level, imagine the person that diligently saves for retirement driving a modest car and investing wisely. His neighbor is the spendthrift with a new car every three years, eats out every week, and basically spends more than he earns. One appears to live better in the short-term. Fast forward 30 years and one has nothing to show for it and the other has a rather large nest egg to deploy. That global nest egg is being deployed in a ravenous fashion. So it shouldn’t come as a surprise that the middle class is now a minority in this country. We’ve essentially traded good paying manufacturing jobs for flipping burgers or wrapping up burritos at Chipotle. You can support a family working on an assembly line for cars but not for serving up frozen yogurt. Some people seem to think that this situation is fine but that is the smaller elite class in this country. They can leverage global workers and use arbitrage to increase their wealth. But the average American doesn’t have that luxury and their standard of living has eroded. Wages in fact in places like China have increased. We’ve reached a very low wage internationally and might have hit a bottom. We talk about buying American products but most workers in the US are cash strapped. What would happen if the cost of most items goes up 30 to 50 percent? Inflation is never talked about in the mainstream press but this slow erosion of purchasing power is just that. That chart showing exports and imports just reflects a continuation of spending beyond our means. It doesn’t seem like that will turn around anytime soon. Just keep imaging that person with the shiny new car. Who are we in this picture? Source : The most depressing chart showing US imports and exports in 2016 with top trading partners. Si n’étaient quelques courageux lanceurs d’alerte prêts à braver le poids du politiquement correct, on ne saurait pas grand-chose de la vague de criminalité, largement imputable à la population immigrée d’arrivée récente, qui frappe aujourd’hui la Suède. Un officier de police de haut rang, Peter Springare, vient de publier sur Facebook son récit d’une semaine d’activités policières dans la ville médiévale d’Örebro, 100.000 habitants. En 47 ans d’expérience policière, il n’avait jamais vécu cela : une série de crimes et délits, impliquant en majorité des migrants islamiques d’origine africaine et proche-orientale, pousse aujourd’hui à bout les forces de l’ordre. Il n’est pas le seul à parler ainsi : un autre officier de police, de Göteborg, celui-là, abonde dans le sens de son collègue. Tomas Asenlov a décidé de parler parce qu’aucun haut responsable de la police n’a osé apporter son soutien à Springare. Comme pour les viols et agressions de la Saint-Sylvestre à Cologne, c’est le ras-le-bol populaire couplé avec le courage de policiers pas comme les autres qui a permis à l’information de circuler très largement sur les réseaux sociaux. Et l’actualité continue de leur donner raison : le 20 février, des émeutes ethniques ont éclaté dans la banlieue de Stockholm – voitures incendiées, tirs et autres violences ont fait rage pendant toute la nuit. A Örebro, ville touristique bien connue pour son imposant château médiéval, le discours officiel du gouvernement suédois est contredit de jour en jour. Les statistiques officielles assurent que la criminalité en Suède est stable. Peter Springare a choisi tout simplement de donner la liste des affaires traitées par la police sur les cinq jours, de lundi à vendredi, précédant la mise en ligne de son message. « Allons-y ; voilà ce que j’ai eu à traiter de lundi à vendredi cette semaine : viol, viol, vol, agression aggravée, agression en vue de viol et viol, extorsion, chantage, agression, violences contre la police, menaces contre la police, crime lié aux stupéfiants, affaire de stupéfiants, crime, infraction grave, tentative d’assassinat, de nouveau un viol, encore une extorsion et des mauvais traitements » : pour Springare, c’est le signe d’une société au bord de l’implosion. Il n’hésite pas à écrire que les suspects sont presque tous des migrants : « Ali Mohammed, Mahmod, Mohammed, Mohammed Ali, encore, encore, et encore, Christophe… Mohammed, Mahmod Ali, encore et encore ». Le seul Suédois autochtone, Christophe, étant soupçonné en marge dans une affaire de crimes liés aux stupéfiants. Quant aux pays représentés, leur liste est également parlante : Irak, Irak, Turquie, Syrie, Afghanistan, Somalie, Somalie, la Syrie de nouveau, la Somalie, pays inconnu, pays inconnu, Suède. « Pour la moitié des suspects nous ne pouvons pas être sûrs parce qu’ils n’ont pas de papiers en cours de validité. Cela signifie habituellement qu’ils mentent à propos de leur nationalité et de leur identité », souligne le policier. Les policiers n’ont plus guère le temps de s’occuper d’autre chose et les services de santé, les écoles, la police « sont en état de chaos », tandis que les retraités « sont sur les genoux », prévient-il. Cette liste effarante ne concerne que la ville où travaille Peter Springare. 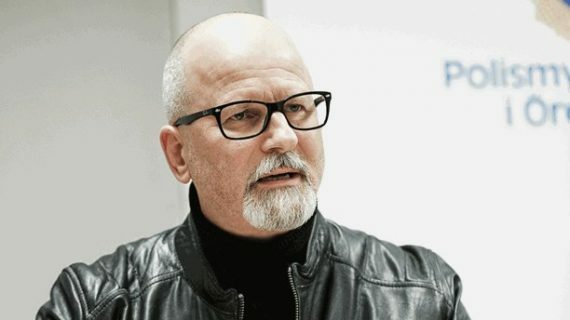 À Malmö, 350.000 habitants, l’une des villes suédoises comptant la plus forte proportion d’immigrés – un tiers de la population y est d’origine étrangère, sans compter leurs enfants – le chef de police Stefan Sinteus vient de lancer un appel au secours, affirmant que les forces de l’ordre ne peuvent plus faire face devant cette « spirale montante de la violence ». Lui n’a pas parlé du rôle joué par la migration. C’est qu’il y a un discours officiel : tout va pour le mieux et l’afflux de 200.000 migrants islamiques ces dernières années n’a pas eu d’effet sur l’insécurité… Les statistiques ethniques sont interdites de toute manière. Tout au plus reconnaît-on que les immigrés sont surreprésentés dans les affaires policières, mais cela est officiellement attribué au fait qu’ils font partie des catégories socio-économiques les plus défavorisés, ce qui permet d’effacer aussitôt le facteur de l’ethnie, de la religion, de la culture ou du déracinement. Tomas Asenlov, 43 ans d’expérience dans la police, abonde dans le sens de Peter Springare, accusant les responsables de ne pas oser prendre les décisions qui s’imposent – mais il ne parle que parce qu’il est proche de la retraite, affirme-t-il. Peter Springare fait d’ores et déjà l’objet d’une enquête pour « haine raciale », une incrimination qui, comme la diffamation raciale en France, ne peut être écartée en apportant la preuve de ce que l’on dit : excuse de bonne foi interdite ! Mais son affaire ayant reçu l’attention des médias internationaux, les poursuites ont été levées. Pendant ce temps, les poussées de l’ONU et des instances mondialistes comme le Forum économique mondial continuent de prêcher l’accueil des migrants et les avantages des déplacements massifs de population, eux-mêmes favorisés par le chaos dans les pays comme la Libye, la Syrie, l’Irak. Chaos créé par les pays occidentaux… D’aucuns diront que tout cela est trop cohérent pour être fortuit. Tommy Robinson: Sweden self-destructs for "diversity"